No matter how you try to spin it, it’s an unavoidable truth that ricotta is a gateway cheese for we, the DIYers. It began innocently last summer when, still in the throes of dairy intolerance, I whipped up some goat’s milk ricotta using Trader Joe’s goat milk and it changed me forever. I didn’t grow up eating ricotta because my mom rightly refused to put that dry stuff from the green and red container into her perfect lasagna. But that creamy, lemony goodness won me over, and when we started purchasing our whole cow’s milk from a local farmer, I began to make ricotta pretty often, usually using a variation on this recipe from The Elliott Homestead. 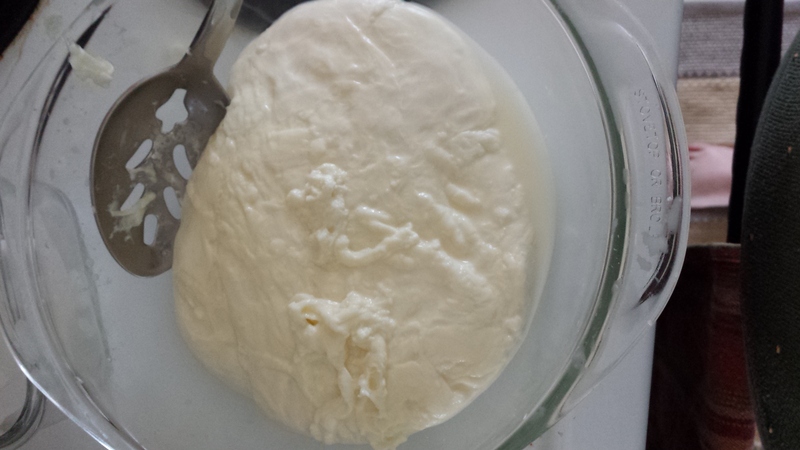 Ricotta draining out its whey. Joseph built me this awesome contraption for just such occasions. The mood to advance my cheese-making skills struck recently, and our farmer sold us a “mozzarella and ricotta starter kit” from Urban Cheesecraft. I don’t tend to be a huge fan of starter kits, because I want to know how to do it myself, all right?! But this starter kit is awesome – it just includes accessory ingredients for several batches of cheese, and easy-to-follow instructions. I had some free time that week, and bam! 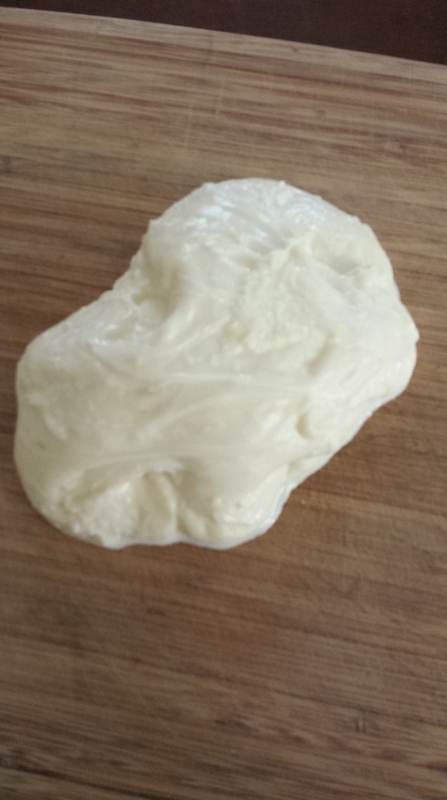 Pretty perfect mozzarella in 45 minutes, with the help of Urban Cheesecraft. 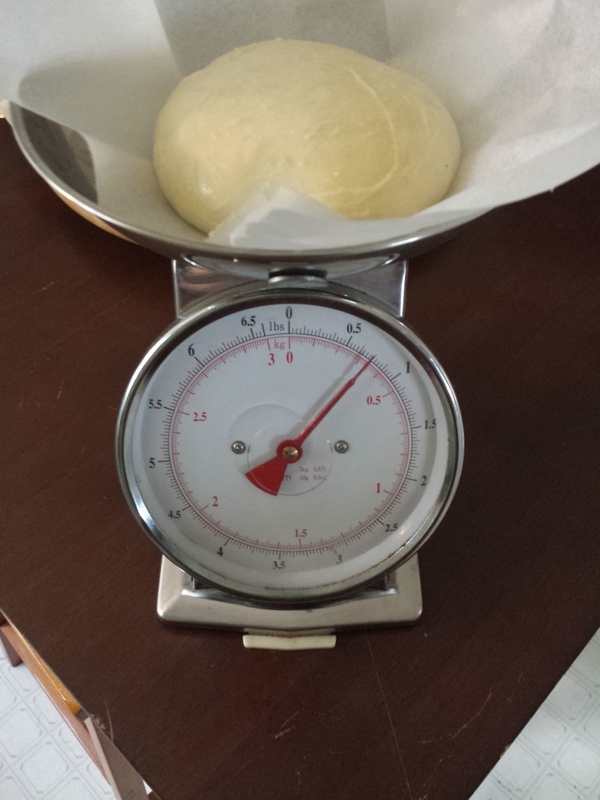 3/4 of a pound of cheese from a gallon of milk. Our chickens and dog get the whey as a probiotic supplement. 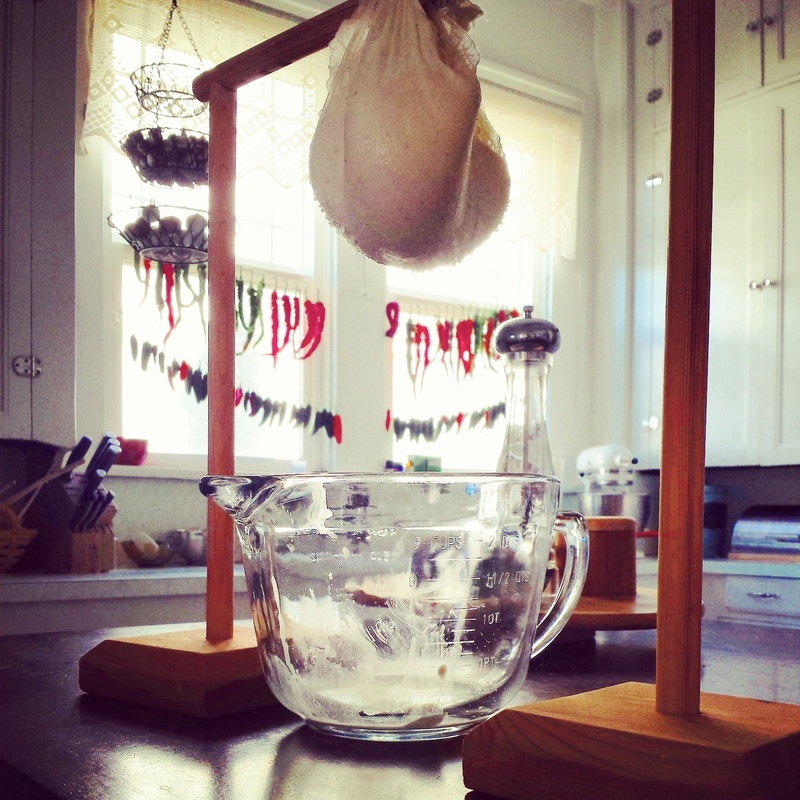 To make mozzarella easily (per an adaption of Urban Cheesecraft’s instructions), you begin by dissolving 1/4 of a rennet tablet in one cup of chlorine-free water (tap water, if you live in Portland. Yay Portland!). Then you dissolve 1 1/2 teaspoons of citric acid in another cup of cool water. 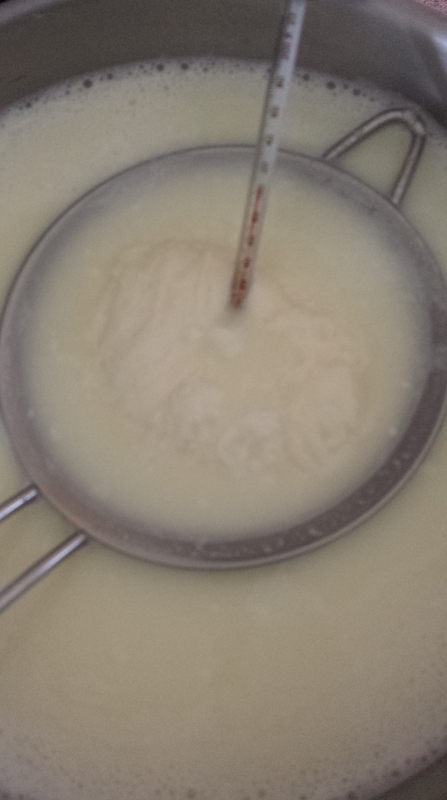 Heat 1 gallon of whole, best-quality milk and the citric acid solution to 90 degrees, stirring often. 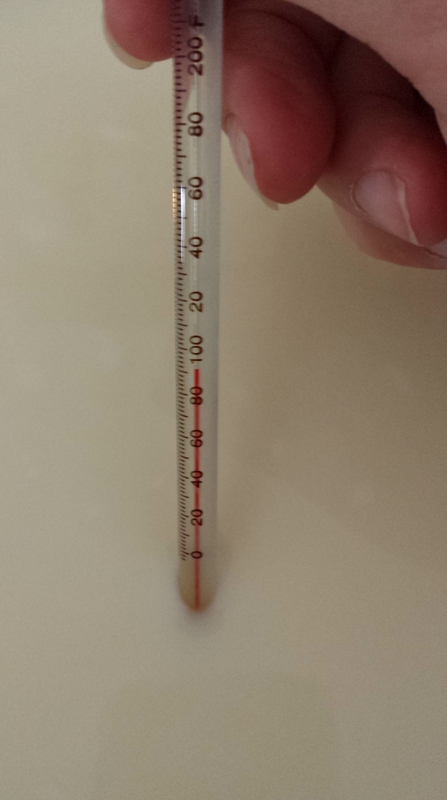 At 90 degrees, slowly stir in the rennet solution and continue to heat to 110 degrees. At this point, my curds and whey were definitely doing their separating, coagulating thing. It looks like shiny yogurt – a good sign. Cut the curds gently with a wooden spoon, into about 1-inch cubes. Stir the cubes very gently for another minute, then turn off the heat. Ladle the curds into a bowl. It’s beginning to look a lot like cheese. Heat the whey in the pot up to 185 degrees (and NO higher), then take the pot off the heat. 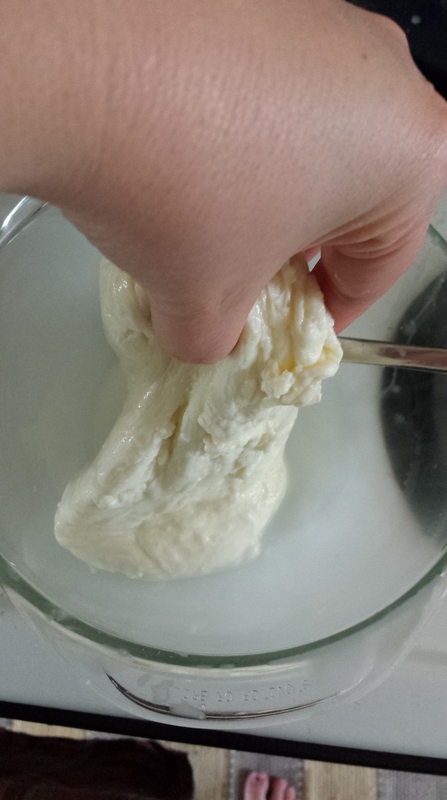 Using rubber gloves or a large spoon, form the curds into a ball if they haven’t already formed one, and dip them into the whey bath until their temperature reaches 135 degrees. I used a mesh strainer. 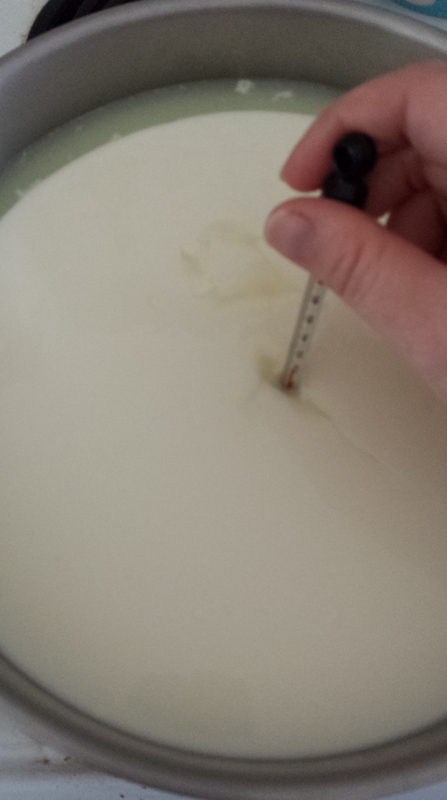 Remove the curds from the whey, and plop the lump they’ve become onto a surface like a wooden cutting board. 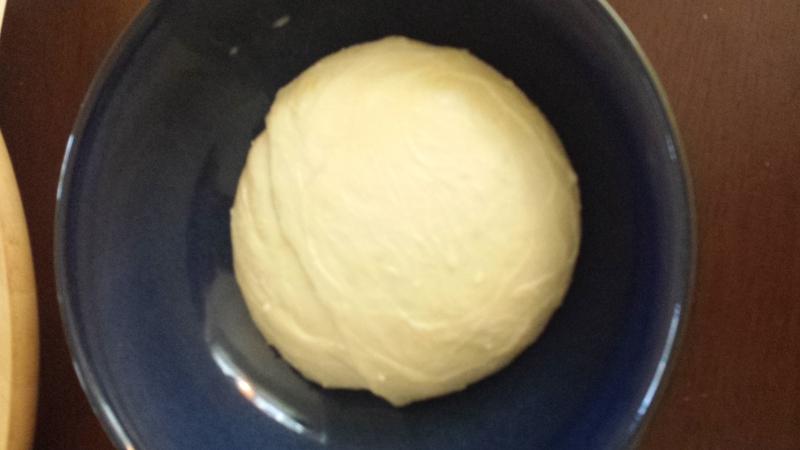 Sprinkle salt to taste over the lump, and stretch it, pull it, knead it, twist it until it’s smooth and shiny. Eat it right away, not because you have to, but because you can’t help it. My batch was enjoyed with pasta, fresh herbs, and olive oil. Bellissima! 20 Dec	This entry was published on December 20, 2014 at 5:16 pm and is filed under Collection. Bookmark the permalink. Follow any comments here with the RSS feed for this post.